T Rex Arms are proud to introduce a new class to our line up! Have you ever wanted to shoot USPSA/IPSC/IDPA, Bowling Pins or GSS? Have you ever wondered how to get involved, what’s required and exactly where to start? Well, look no further than our Practical Shooting 101 class. This brilliant class is taught by guest instructor Roy Neal, an SV Factory Sponsored USPSA 4 Division Master Class Competitor. Firearms and Gear – What’s required and desired. Range commands – What do they mean for each discipline, when and how they apply. Practical shooting specific safety rules – Indoor/outdoor considerations such as 90 degree, 180 degree and vertical 90 degree rules. Targets – What to expect and where to aim. Explanation of points for each discipline and why/how they translate into defensive shooting. Holstered start, table start, low ready start, seated starts – How to perform these safely and efficiently. Facing up range/downrange – How to turn safely and draw to engage targets. How to effectively deal with walls, corners and ports. How to move safely and efficiently from one shooting area to another. Reloading – When they are allowed and the best ways to perform them. Shooting timers and how to use them. Pistol – Calibers 9mm to 45acp – Ideally with 10 or more capacity. Strong side OWB holster – No IWB, cross draw, appendix or small of back etc. 1 or more magazine pouch. Sturdy belt – Ideally made for shooting to support holster and magazine pouches. This class lasts 4 hours and costs $150 per student with a maximum of 10 students per class! 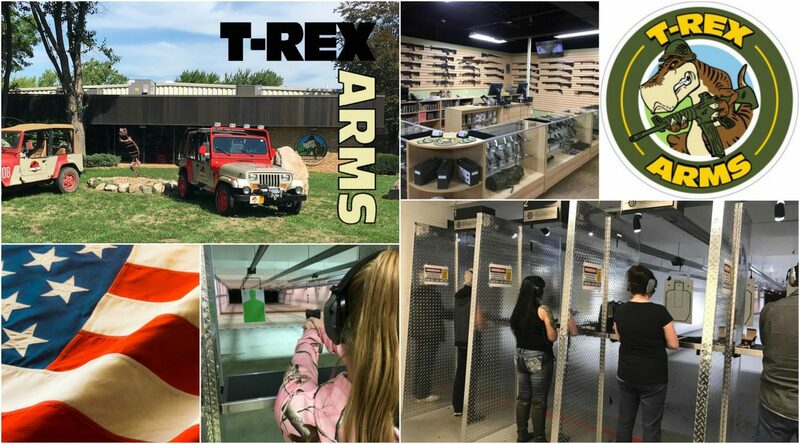 Don’t delay, come down to T-Rex Arms and sign up today!